Product names used throughout our website are owned by individual manufacturers and most of the names are either trademarks or registered trademarks of their respective holders. Power Tool Specialists and www.powertoolspecialists.com.au are trademarks of Power Tool Specialists (Aust) Pty Ltd. All rights reserved. While we make every effort to ensure the accuracy of the information contained on our website, errors, inaccuracies, or omissions may occur. Power Tool Specialists reserves the right to make adjustments to correct such information. We also reserve the right to limit quantities on certain products. Power Tool Specialists reserves the right to refuse or cancel any order on which the product price is found to be incorrect. If a credit card has already been charged for the order, Power Tool Specialists will issue a credit to the card for the amount charged. 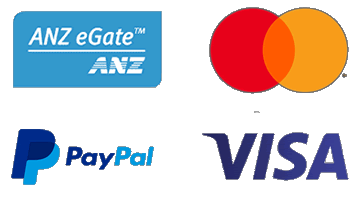 We accept payment in Australian Dollars, using the following payment methods provided through our secure website: PayPal and Credit Card (VISA & Mastercard). Should you wish to arrange alternative payment, such as Cash on Pickup, or Bank Transfer, please call our store during trading hours to arrange. Our goods are delivered primarily using Australia Post eParcel service - the price is quoted live during the Shopping Cart Check Out process. For oversized items we may arrange alternative freight options to obtain the best price prior to dispatch - we encourage you to complete the order after which our Sales team will contact you to discuss. All products sold by Power Tool Specialists (Aust) Pty Ltd are genuine Australian products, which are covered by Australian power tool supplier warranty policies and meet Australian Standards. Please be aware that any power tools purchased from outside of Australia may not be built to Australian Standards and may be deemed illegal to operate in Australia. Such products will not be covered under warranty. The Buyer is responsible for inspecting the goods upon delivery, any alleged defects shall be reported to Power Tool Specialists within three (3) working days. Should you experience any issues with your order, please don't hesitate to contact our Sales team within this time period. It is the Buyer's responsibility to ensure that the correct items have been purchased - in the event that goods are returned to the store, it is the Buyer's responsibility to ensure goods are returned in original saleable condition at their own expense. We respect your privacy, so we will never exchange, sell, or give away to any third party any information about you. All information collected on our website is done through a very secure encrypted system. The privacy and security of any information that you provide we will be treated with the highest integrity and confidentiality, and in compliance with the Australian National Privacy Principles.